The strictly preaching REX MUNDI inflict divine fury on mankind. 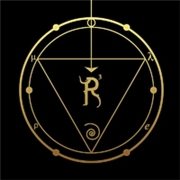 They are purveyors of raw and pure black metal, bringing forward alleged lost wisdom of creation. The band members; Metatron, commander of legions and proclamations of faith, Seraphiel, unearthly presentations, Nahanael. Minister to the lost, and Chamiel, uncoverer of secrets and shadows really seems hell-bent on what they do. Convince me! The demonic atmosphere of “J´Imagine (Be-Reshit)” is creepy, it is all very theatric. But as their hypnotic theatrics transform into the most churning black metal, quite a lot of the ancient wisdom is lost. They may throw in some clear vocals and loud praying but the baseline is not to be saved. The atmospheric illusion works though, they sound genuinely mystical and evil. But is it enoughas it is not a visual experience? No, not to me. This penchant for black metal costs…for many bands with more ideas than the genre can convey.